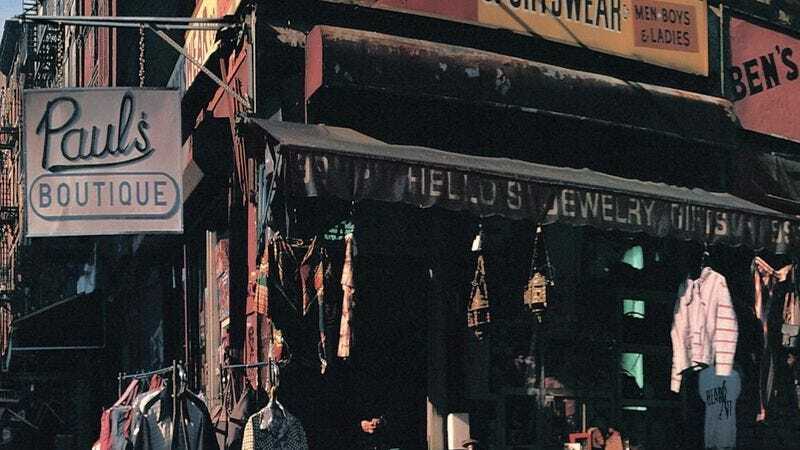 A community board in New York has rejected a proposal to rename an intersection “Beastie Boys Square.” LeRoy McCarthy had sought to name the corner of Ludlow and Rivington on the Lower East Side after the band because of the intersection’s depiction on the Paul’s Boutique album art, but New York’s Community Board 3 voted 24 to 1 against. The Board—which previously shot down McCarthy's bid to get a different corner named after The Notorious B.I.G.—has also banned McCarthy from reapplying for the honor for at least five years. There was one abstention from the voting, as one committee member, Chad Marlow, believed that McCarthy’s plan didn’t get its due process or fair shake among the board’s other members. McCarthy rappingly agreed, noting in a press release statement, “This was no mirage. Community Board 3 under the leadership of Chair Gigi Li has acted in a capricious and arbitrary manner, illuminating once again a tendency to abuse the possession of its power. The Beastie Boys say it best, ‘I’m tellin’ y’all it’s Sabotage.’” Word. In order to meet the Community Board’s criteria for naming, the Beastie Boys would have to have a deceased member, which it does in Adam Yauch, and have contributed 15 years community service to the neighborhood—and apparently having great records and raising money for Tibet doesn't count. According to board chairwoman Gigi Li, “Many members felt strongly that the application could never meet CB3’s requirements for a co-naming,” despite the Boys’ longstanding presence in the community and the group’s obvious prominence. About 1,800 people have so far signed McCarthy’s online petition in favor of the name change, though it’s unclear how many of those signees are actually from New York.